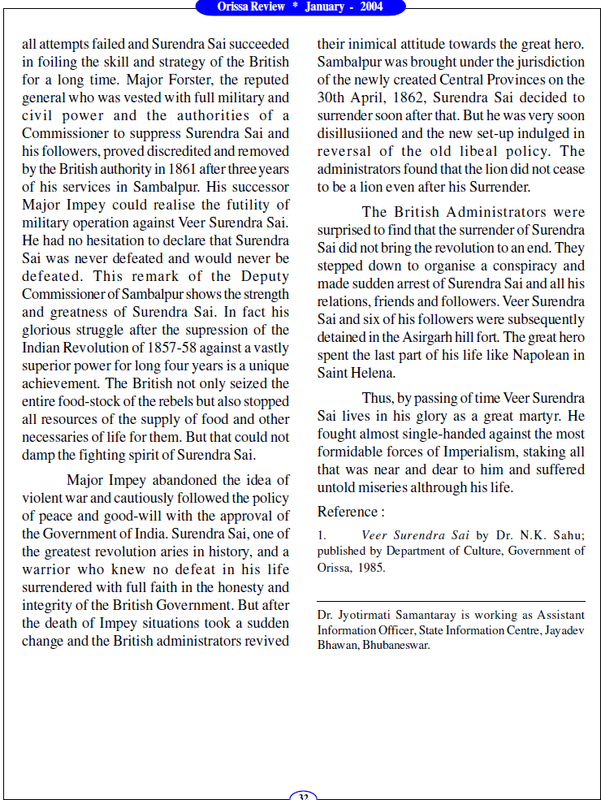 Though Veer Surendra Sai began fighting against the British rule much before the Sepoy Mutiny in 1857 and spread a reign of terror among the foreign rulers, history, as it is seen, hardly counts for this legendary national hero to be treated on equal footings like that of others, opined speakers on the occasion of the 203 birth anniversary of the indomitable freedom fighter. 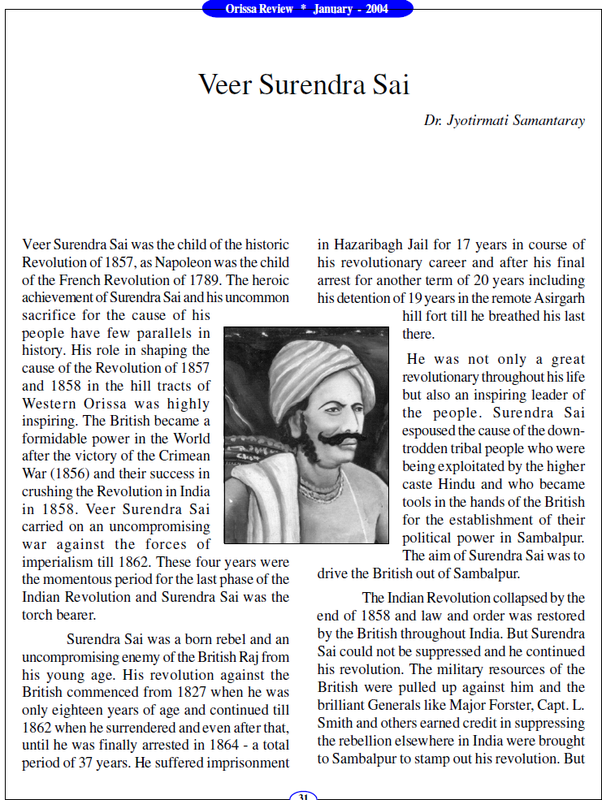 At a function jointly organised by the Sambalpur district administration and the Odisha Sanskritika Samaj, speakers further said that even if Surendra Sai is not rightly presented in the pages of the history, no one can deny him the status of a national hero who spent 37 years in jail for the freedom the motherland. “More research needs to be done on the life, work and struggle of Veer Surendra Sai,” observed Collector of Sambalpur Hemanta Kumar Das, who was the chief guest at the function. There is absolutely no doubt over the fact that this hero of the land has glorified the pages of history, but history itself has even done injustice to him, he said. The sacrifice and contributions of Surendra Sai had not been rightly projected in history. But he was the first hero to raise voice against the British rule in India and carry out a guerilla war against it, said senior journalist Kishore Kumar Sahu, who was the chief speaker. He compared Surendra Sai with Napoleon, Rana Pratap and Chhatrapati Shivaji. “His struggle for freedom is hardly seen in the history of freedom movement of any country all over the world,” he said. At times people misunderstand him that he was fighting for his own interest to save his kingdom, but that is not the fact at all, he further added. At the outset, secretary of Odisha Sanskritika Samaj Dr Paresh Chandra Dani appealed to the authorities to preserve the historic places of the district and town including Rani Bagicha, and complete the construction of the Kunjal Singh memorial gate. Prof Gopal Krishna Rath presided over the function. Several other organisations also celebrated the birthday of Surendra Sai and Netaji Subhas Chandra Bose at different places of the region.